Download Tor Browser 7.0.11 Latest version. 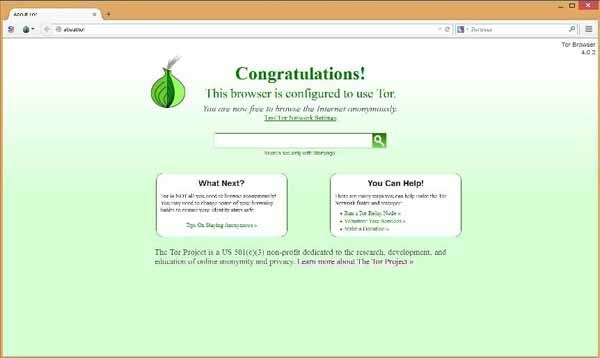 Tor Browser is used to open blocked websites and anonymous location. It is developed by Tor Project organization that enable you to connect to the Tor Network. It is very easy to install on your PC. Just download the setup according to your Operating System. After downloading, just run the setup and start to install the browser on your PC. During the installation, it will ask you to “Connect” or “Configure” the Tor browser. If you are using any proxy etc. then configure it otherwise just “Connect” it to Tor network. If you are a normal user then click “Connect” button to start this browser with anonymous proxy. When this application will start, you can check to typ “google.com”. Normally, it will be redirected to the country specific domain according to your location. But within this browser, it will be redirected to other country like .ro or .pl etc. This will show that you are using the IP address of that country. This all is possible because of Tor Network where you are connected via this browser. Tor Browser bundle will enable you to open all blocked websites. For example, if you are in Pakistan, you can open YouTube without installing any proxy software or changing IP address. This Tor Browser bundle is absolutely free and unlimited. Moreover, after installation, you can see a folder of Tor browser on your desktop. You can carry this within your flash drive and use it anywhere as Portable software that is amazing.